Cancer of the thyroid – as with any cancer – occurs because of genetic changes in the tissue. These mutations may occur for a variety of reasons and it is important to determine exactly what’s going on. The type of changes can affect treatment as well as indicate the kind and aggressiveness of the cancer. 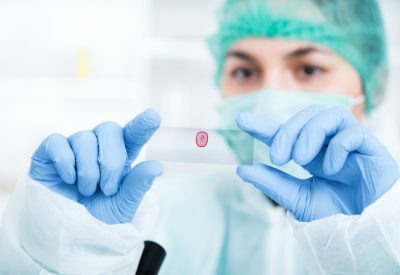 A fine needle aspiration (FNA) specialist like Dr. Celina Nadelman uses next-generation sequencing (Next-Gen Sequencing or NGS) as an additional diagnostic technique. A Lump or Thyroid Cancer? Nodules in the thyroid are quite common. They occur up to four times more often in women than in men, and their frequency increases with age and low iodine intake. 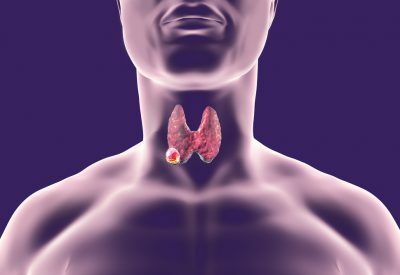 The prevalence of thyroid cancer is increasing, more than tripling during the last three decades. As many as 6.5% of these nodules may turn out to be cancerous (although as up to 36% of microcarcinomas (less than 1 cm tumors) are incidentally found at the time of surgery). Although that is a relatively small number, making an accurate diagnosis is critical, so an FNA doctor will use a variety of tools to ensure the diagnosis. The first step is usually a fine needle aspiration (FNA) biopsy – the insertion of a small, very thin needle into the nodule to get tissue from the thyroid nodule. A cytopathologist then examines the tissue under a microscope to identify cellular changes to determine if there is cancer in the nodule. Next-generation sequencing is a form of molecular testing. Next-generation sequencing can examine and “map” changes in the genes. Thyroid cancers harbor characteristic genetic alterations, therefore, the NGS test can detect multiple genetic changes that can identify patients with a high risk for malignancy. Sometimes it is not clear whether the nodule is truly benign or malignant (indeterminate diagnosis). However, no one wants to undergo surgery if it’s not necessary; an FNA biopsy with next-generation sequencing can help prevent unnecessary surgery. In addition, NGS can contribute to patient management by identifying genetic alterations that may lead to a more aggressive course. As NGS is a faster method than previous molecular testing of tumors. As early treatment of cancer is critical, a fast, accurate diagnosis is important. In addition to providing a specimen for next-generational sequencing, an FNA biopsy has many advantages. It is an in-office procedure, while open biopsy is performed in either an outpatient surgery center or a hospital. An FNA biopsy is less traumatic to the tissue and less expensive – a band-aid is all that’s needed afterward. It is not as painful as an open surgical biopsy, local numbing spray or local anesthesia is all that is needed. In addition, the procedure takes less than an hour. 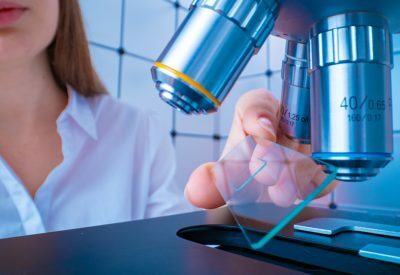 As a cytopathologist, Dr Nadelman can immediately examine the specimen, ensuring diagnostic results, as well as providing a diagnosis to the referring doctor usually within 24 hours. If you have a lump of the thyroid and your primary care doctor recommends an evaluation, please contact our office. 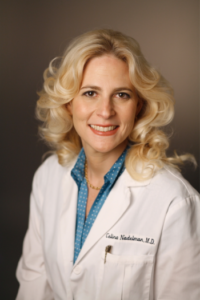 Dr. Celina Nadelman is an experienced fine needle aspiration specialist and can help provide a quick, accurate diagnosis. Next-generational sequencing in the hands of a specialist, such as Dr. Nadelman, is an excellent tool to diagnose thyroid cancer or identify non-cancerous nodules.